The second piece of criteria is pretty straightforward. But the second item (the so-called “Means Tests”) is the crux of the Bankruptcy Code. It is a calculation created by Congress to determine whether you are above or below the median income for your household size. For example, according the government, the average (or median) income for a household of four is: $72,711 (as of August 24, 2015). So if your total household income is below that amount (and you have not filed a 7 in the last eight years), then you can do a Chapter 7. However, if you are above the median income level (even after all available deductions are used), then you would have to do a Ch13. There are a great many benefits in a 13 (that are not available in a 7). For instance, you have an opportunity to get rid of your second mortgage, you can pay off your car at a much lower interest rate (and sometimes at the fair market value), and you can create a repayment plan that fits your particular budget. Common examples of why someone would want to file a Chapter 13 would be the following: stopping a home foreclosure, getting back a repossessed car, and paying off a large amount of tax debt. 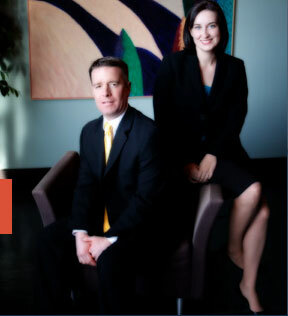 The best way to know what exactly your rights and options are is to contact an experienced St Louis bankruptcy lawyer right away!! We can answer all of your questions, and explain how the entire process works step by step.